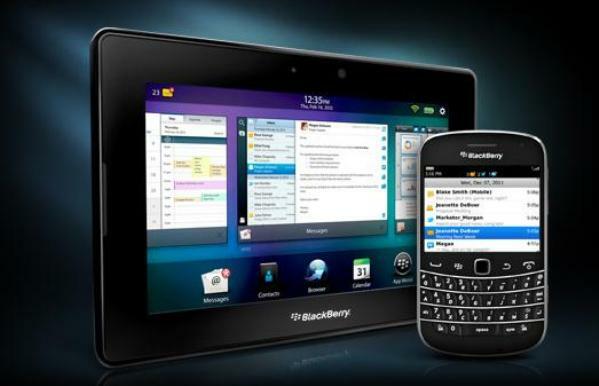 RIM has announced today that BlackBerry Mobile Fusion is now available. Mobile Fusion enables IT departments to manage and support BlackBerry, iOS and Android devices and also allows end users the freedom to choose their own device. An initial release for BlackBerry phones and the PlayBook launched in February and today's release brings Mobile Fusion to iOS and Android devices as well. Waterloo - Research In Motion (RIM) (NASDAQ: RIMM; TSX: RIM) today launched the highly-anticipated BlackBerry® Mobile Fusion, RIM's next-generation mobile device management (MDM) solution for enterprise customers. Built on the foundation that has established BlackBerry® Enterprise Server as the gold standard for government and businesses, BlackBerry Mobile Fusion delivers a cost-efficient, secure, reliable and scalable solution that consolidates the management of smartphones and tablets running BlackBerry® OS (including support for BlackBerry PlayBookTM and future BlackBerry® 10 devices) as well as AndroidTM and iOS®*, and provides a single, unified, web-based console for easily managing all devices. "For businesses and government, managing a mix of mobile devices on any scale is chaotic. Organizations face pressure to allow employees to bring their own devices into the workplace, and they are looking to RIM as the global leader in the enterprise mobility space to solve that problem," said Alan Panezic, Vice President, Enterprise Product Management and Marketing at Research In Motion. "BlackBerry Mobile Fusion allows organizations to manage a mixed environment of devices in the most secure, simple, and cost efficient manner possible. It also means that businesses and government do not have to move to the lowest common denominator on security for all the devices they need to manage." BlackBerry Mobile Fusion integrates the market-leading features and security architecture of BlackBerry Enterprise Server (version 5.0.3), providing advanced IT management and controls, a single outbound security connection (256-bit AES encrypted "BlackBerry VPN"), enforceable IT policies, support for BlackBerry® Balance technology, and over-the-air app and software installation capabilities for the management of BlackBerry smartphones and PlayBook tablets (as well as future BlackBerry 10 devices).